In These Times is a space for our community to explore issues of social justice, teaching, and research in uncertain times. The information superhighway is paved with good intentions. This thought occurred to me earlier this summer, as I drove the Silicon Valley corridor of 101. “The first survivor of Alzheimer’s is out there,” one billboard declared. 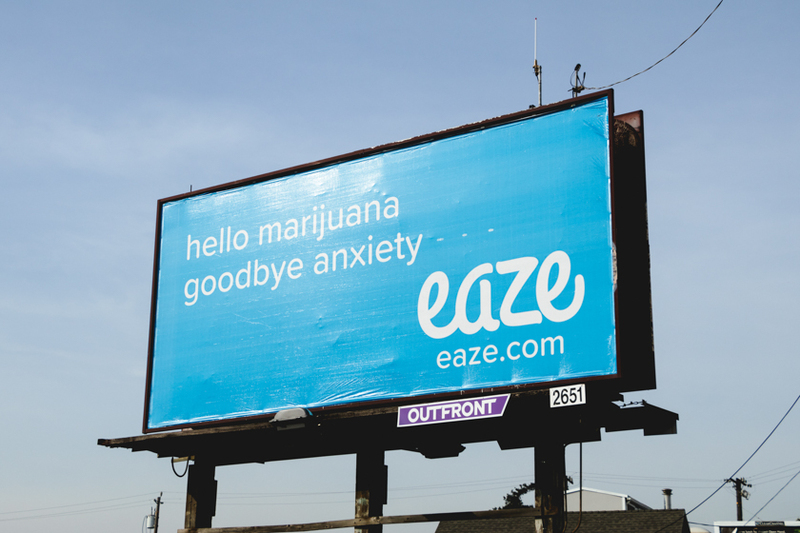 “Hello marijuana, goodbye anxiety,” announced a second (the company, Eaze, hand-delivers the substance, à la Instacart). “No data left behind,” avowed a third. Perhaps because I was headed to the ALA to deliver a paper on Edith Wharton’s satire of interwar scientific culture, Twilight Sleep, the third struck me as particularly ludicrous and problematic. Chief among Wharton’s criticisms of Jazz Age America are its willful rejection of history and its lack of irony about the ambition to transcend mortality. In light of these diagnoses, the billboard’s erasure of historical meaning and expectation of unexamined familiarity made the generic sincerity seem insidious as well as ridiculous: outlive aging! order in relaxation! account for everything! I was bothered by the exchange of algorithms for people (ironically, the amended appropriation is more accurate than the original phrase in context). But it was the billboards’ shared understanding of personhood as a dataset—an aggregate of psychobiometrics to optimize—that struck me as both immediately concerning and uncomfortably well-established. Novels like Wharton’s remind us that we have long since recognized that the will to health produces disease, yet a well-compensated voice insists that life exists to be hacked. I live and work at the epicenter of what’s being called the quantified self, or QS, movement. Exemplified by products like the Apple Watch, FitBit, 23andMe, and countless “lifelogging” apps, QS officially began in 2007, when co-founders Gary Wolf and Kevin Kelly started a blog aimed at helping individuals capitalize on their personal datastreams to improve their lives. It’s “self-knowledge through self-tracking,” as Wolf puts it, or “marrying technology with self-improvement,” as a 2012 Economist article describes. QS hosts international conferences, meetups, and a vibrant online community. Participants include academics, clinicians, elite athletes, tech evangelists, patients seeking treatments, and parents comparing baby milestones. QS’s origins are usually dated to the 1970s and the introduction of self-surveillance via wearable technology. However, I think the modernist period forms a crucial prehistory to this cultural movement. This era gave birth to the standardized models of physical and mental health that underpin our current notions of modern selfhood. It nurtured biopolitical phenomena like personal hygiene, psychoanalysis, self-help, and birth control into being. And it inspired a number of cautionary tales about the boomerang effects and other unintended consequences of seeking to maximize human existence with the help of science and technology. Barbara Ehrenreich’s new book, Natural Causes, chronicles the current “epidemic of wellness” in which we are “killing ourselves to live longer.” Ehrenreich focuses on the past four decades, but arguably all of the trends she observes, from diet and exercise to medical interventions and preventative care, resonate with the forms of pathological self-maintenance that Wharton limns in 1927’s Twilight Sleep. Lauded by Aldous Huxley as the antecedent to Brave New World, Wharton’s novel details how personal commitments to progressive wellness—what Beth Blum calls “compulsory self-betterment”—backfire. Her characters avidly pursue relaxation and aggressively avoid pain. They experiment with physical fitness regimes, mind science therapies, and medical procedures like the novel’s eponymous childbirth anesthetic. They visit suburban sanitoriums and undergo California rest cures. All of these efforts, however, end up undermining themselves, eroding both selfhood and human relation in the process. The echoes between Ehrenreich’s treatise and Wharton’s novel about “the killing New York life” abound (Twilight Sleep, 10). New Woman Pauline Manford believes that “menaces” like “anxiety, sorrow, old age,” and “human uncertainty” can be resolved by “exercises of the will”: eurhythmic routines akin to bikram and pilates, “deep mental breathing” akin to The Clarity Cleanse and “applied rationality” (198, 64). An industrious socialite, Pauline leans into her ambitions by scheduling her life in fifteen-minute increments: “7:30 Mental uplift. 7:45 Breakfast. 8 Psycho-analysis. 8:15 See cook. 8:30 Silent Meditation. 8:45 Facial massage. 9. Man with Persian miniatures” (9–10). The joke, of course, is on her. Pauline’s “patiently Taylorized efforts” against the ravages of time and humanity exacerbate, if not precipitate, “nervousness, fatigue, brain-exhaustion,” and headaches, while her relationships to her family and the rest of the world are tenuous at best (98, 30). One of Wharton’s takeaways here appears succinctly in another late novel, The Gods Arrive (1932), in which an elderly character offers the deathbed wisdom, “Maybe we haven’t made enough of pain—been too afraid of it. Don’t be afraid of it.” The impulse to mitigate negative feeling is understandable, Wharton suggests, but acting on instinct is not necessarily a wise decision. Twilight Sleep argues against regulatory enterprises not because pain, chaos, and entropy are desirable, but because they are inevitable. Their denial proves not only naïve and unsustainable, but physically destructive and emotionally toxic. The self-depleting (and self-defeating) ends of self-enhancement have recently been assessed in a fashion that Wharton would likely appreciate. A 2017 article in the Journal of Clinical Sleep Medicine coins the term “orthosomnia” to describe a phenomenon in which people become “preoccupied or concerned with improving or perfecting their wearable sleep data.” Put simply, orthosominacs lose sleep over their imperfect sleep data. Moreover, the study found, “patients’ enthusiasm for [the] objective data” afforded by their personal sleep trackers trumped clinical consultations and the findings of other assessments. Convinced that they had a sleep disorder, these individuals developed one. Gary Wolf argues in his TED talk that the endgame of self-tracking is “to act more effectively in the world.” Modernist novels stage the problem of applying such market logic to models of selfhood. Wharton’s ultra-efficient, object-perfecting self-made woman becomes “more than ever resolutely two-dimensional” (Twilight Sleep, 306). Fitzgerald’s Gatsby pulls himself up by his bootstraps one resolved minute at a time, only to wind up dead and alone. Huxley’s 1932 meditation on “the right to be unhappy,” meanwhile, has all manner of unexpected resonance in a Valley where disruption is the watchword. Much as Brave New World reframes socialism as a totalitarian regime, the Valley’s libertarian ethos is at once ostensibly populist—against siloes and inherited bureaucracy, in favor of crowdsourcing and stickiness—and yet individualist to the point of alienation. Musk and Ferriss dominate discourse much like Huxley’s secular gods of “Our Ford” and “Our Freud,” while nootropics or “smart drugs” with names like “Rise” and “Sprint” sound like soma plus caffeine. Both worlds project individual, collective, cultural, and material achievement as essentially synonymous as well as coherently good-feeling, even as their compensatory structures (remote island exiles for the historical non-conformists, remote island retreats for the contemporary elites) signal that better living through self-betterment is not necessarily the case. Modernist novels also remind us that aspirational self-making is the province of a privileged few and comes at the expense of many others. As I argue elsewhere, expectations of implicitly-white, heterosexual upward mobility backfire for men and women of color in Nella Larsen’s Passing (1929) and Wallace Thurman’s Infants of the Spring (1932), Djuna Barnes’s queer cohort in Nightwood (1936), and the younger and working-class women of Twilight Sleep. Self-enhancing logic leads Pauline to champion pregnancy and advocate birth control with equal eugenic zeal: “When her hurried attention turned for a moment on the seeming inconsistency of encouraging natality and teaching how to restrict it, she felt it was sufficient answer to say that the two categories of people appealed to were entirely different, and could not be ‘reached’ in the same way. In ethics, as in advertising, the main thing was to get at your public” (99). Like Pauline, and like the white disciples of the “highbrow cult of joy—featuring the primitive” in Langston Hughes’s “Rejuvenation Through Joy” (1934), QS practitioners—both official and unwitting—tend to be wealthy, aware of their class privilege to varying degrees, and yet, if the products are any indication, relatively blasé about the societal implications of their choices and behaviors. HBO’s Silicon Valley caused a minor stir when it depicted a CEO receiving a plasma transfusion from a young, blond man who, the CEO proudly notes, resembles a “Nazi propaganda poster.” “Blood boys” and “transfusion associates,” however, are not simply the purview of Valley fiction. The San Francisco- and Tampa-based Ambrosia offers “young blood treatment” to the tune of $8,000 for one liter, $12,000 for two. Its website asserts that the “exciting new therapy . . . shows promise for aging and the reversal of conditions such as Alzheimer’s disease. Our patients have reported improvements in areas such as energy, memory, and skin quality.” There is no mention of sourcing. Wolf’s allusion performs the ironies of seeking a useable past with a selective memory. For Foucault, dialectical reasoning crucially shapes the ideal, historical version of this philosophical enterprise. Modernity’s version of self-care, Foucault argues, rejects this project’s intrinsic ethical and moral contours and pursues self-knowledge as a self-interested epistemic goal. Wolf speaks to and reproduces these dynamics. “New tools are changing our sense of self in the world,” he notes, “but we think of these tools as pointing outward, as windows, and I’d just like to invite you to think of them as also turning inward and becoming mirrors.” There is no attention to how this claim runs up against the NPI statistics he’s quoted earlier or evokes the Narcissus myth itself, nor is there a sense of the irony that undergirds a project that promises to hone one’s “moral compass” and facilitate self-awareness via a series of algorithms. California has long served as a barometer of particular strains of American culture. The 2012 Economist article asserts that it is “perhaps unsurprising” that “the notion of marrying technology with self-improvement originated in San Francisco.” As Nathanael West writes in The Day of the Locust (1939), “the people who come to California to die” include “the cultists of all sorts, economic as well as religious . . . all those poor devils who can only be stirred by the promise of miracles and then only to violence.” In the case of QS, I would argue, the violence initially turns inward, but the downstream effects of Ambrosia and the eugenic potential of genetic sequencing negatively impact others as well. So, what’s a modernist scholar living in the Valley to do? The literature glossed above suggests that one ought to be both skeptical of and sympathetic to imperatives of wellbeing and technologies of self-control. So, I go to yoga, but not the 26-minute version. I teach my students about the promises and perils of our evolving models of physical and mental health. And I recognize that there is, as Jessica Burstein has observed, “no outside to culture.” With equal measures of irony and pity, I realize that there is no way to leave data behind. Edith Wharton, Twilight Sleep (1927; repr. New York: Simon & Schuster, 1997). Beth Blum, “Modernism’s Anti-Advice,” Modernism/modernity 24, no. 1 (2017): 117–39, 127. Edith Wharton, The Gods Arrive (New York: D. Appleton and Co., 1932), 402. Aldous Huxley, Brave New World (1932; repr. New York: HarperCollins, 2006), 240. Lisa Mendelman, “Ambivalence and Irony: Gendered Forms in Interwar America,” Arizona Quarterly 71, no. 4 (2015): 23–52; “Character Defects: The Racialized Addict and Nella Larsen’s Passing,” Modernism/modernity, forthcoming. Langston Hughes, “Rejuvenation Through Joy,” in The Ways of White Folks (New York: Alfred A. Knopf, 1935), 66–95, 77–78. Michel Foucault, The Hermeneutics of the Subject: Lectures at the Collège de France 1981–1982, trans. Graham Burchell (New York: Palgrave Macmillan, 2005). Nathanael West, Miss Lonelyhearts & The Day of the Locust, (New York: New Directions, 2009), 184. Jessica Burstein, Cold Modernism: Literature, Fashion, Art (University Park: Pennsylvania State University Press, 2012), 11.